I am currently working on just two projects right now. I renamed the Noro Striped Scarf the Chroma Striped Scarf, since I used Chroma yarn for it. Anyway, back to business! 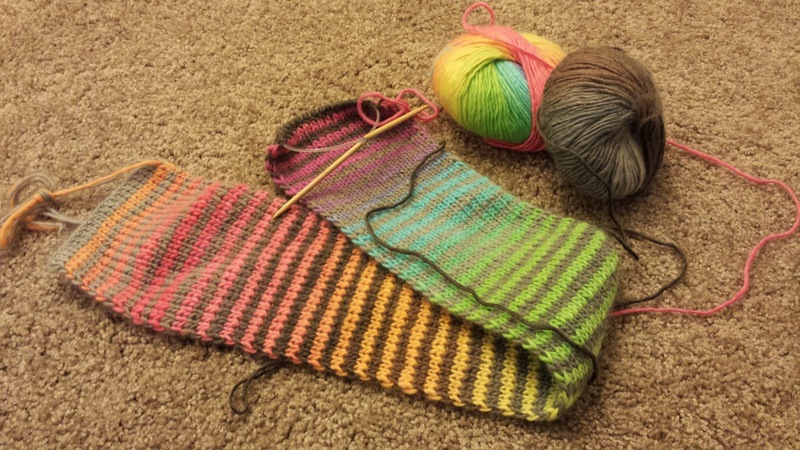 The scarf is coming along; however, it will take a bit longer, because I find it slow and boring. It is quite pretty though. One day it will be finished, and I will be happy. My other project is another Odessa hat. I have found my groove with this one, and it is knitting up fast finally. 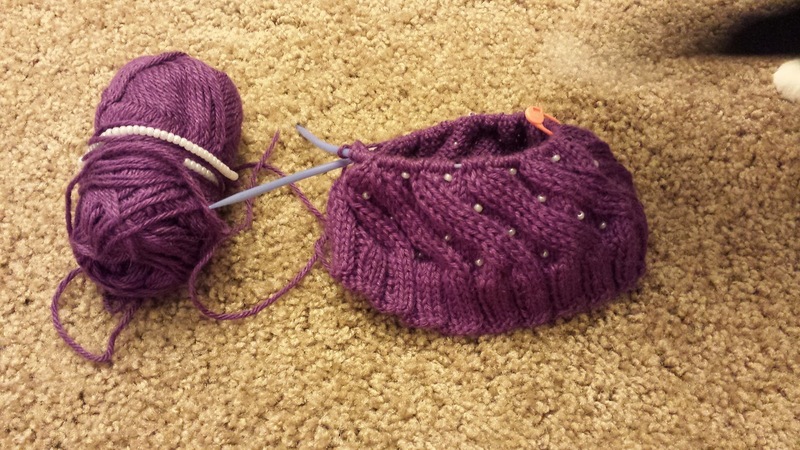 Once I figure out how much yarn versus beads I needed for each round, the project started going super fast. :) I do love this pattern. It is so simple but gorgeous. I might knit another one soon. Come the start of next month and the start of a new Bigger on the Inside. My mother-in-law sent me the pattern and yarn for my birthday, and I am anxious to get started with the project. 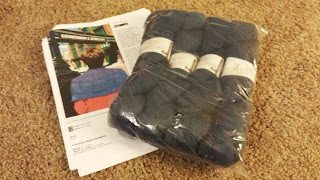 Here is a picture of the yarn again, isn't it beautiful? My husband and I had a full television schedule last night, because it is premier week. We watched two new episodes of The Big Bang Theory and a two-hour long episodes of Grey's Anatomy. The two episodes of The Big Bang Theory were okay. I feel the show has its good and its ehh episodes. The Grey's Anatomy episode was great with all of its ridiculousness. I must admit my favorite part of watching the show is to yell at the characters on the television.